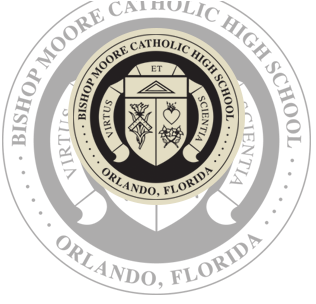 We invite you to check out our official Bishop Moore Catholic Athletics Website to learn about all the exciting programs we have to offer. 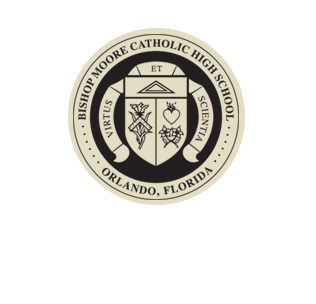 It is an honor to start my 16th year as athletics director (20th overall) at Bishop Moore Catholic High School. As an alum myself, and a parent of four alumni, Bishop Moore Catholic High School continues to be a blessing and very special in my life. Bishop Moore offers so much to each individual who walks the hallways, with athletics being only a portion of that experience. The athletics staff and I are constantly looking to be innovative in developing top notch athletes, coaches, and facilities. We will be undergoing some major in-house renovations to help accommodate our growth. The dome will get long needed air conditioning, modifications to house the drama departments and the copy and mail room. The alumni office has also been added to the dome. The weight room has been temporarily moved to the old wrestling room at the stadium. Utilizing a powerful partnership between our Bishop Moore Catholic families and a consistent and caring environment at our school, our Athletics Department continues to provide a premier high school athletic experience for our students. During the 2016-2017 school year, our program was recognized 3rd overall in class 6A schools and 3rd overall in the FHSAA Academic Team Champion program with a varsity athlete average GPA of 3.46 (unweighted). In addition, the Hornets finished 2nd out of 85 central Florida high schools in the Orlando Sentinel Super 6 standings. We are extremely proud of our 10 district, six regional, two state runner ups, and three state championships. Additionally, we had three individual state champions in bowling and adaptive track (200M/800M). Nearly 65% of our student body participate in athletics, and 25% are multi-sport athletes. These results are possible because we recognize that interscholastic athletics are important in the educational process. Bishop Moore Catholic seizes the opportunity to teach and instill values important to our Catholic and academic mission through the athletic experience. Through a Christ-centered environment we foster ideals of sportsmanship, excellence, and commitment that serve students both on and off the respective venues of competition. Each of our varsity teams participates in a pre-season retreat with our peer ministry staff. These retreats have proven to benefit our kids and our coaches by bringing Jesus Christ into their daily routines. Our goal will remain to develop highly competitive teams without losing sight of the lessons of perseverance, unselfishness, camaraderie, and the ability to win and lose with grace. Please take advantage of the accessibility and “open door” policy offered from our department. We are always seeking to provide the best experience for student-athletes and their families here at Bishop Moore Catholic High School. We appreciate each individual’s athletic journey, without compromising the team concept. Only through great communication can we aid in the inevitable questions, concerns, or feedback that you may have. We look forward to being part of your Hornet experience.